- Never touch matches, lighters or candles. - Try to find two ways out from every room in your home. - Stay low on the floor when escaping a fire. - Escape plans need to be planned and practiced with grown-ups. - Replace old smoke alarm batteries with brand new ones at least once a year. - Put smoke alarms in your home, especially near bedrooms. - Test smoke alarms monthly to make sure they are working. 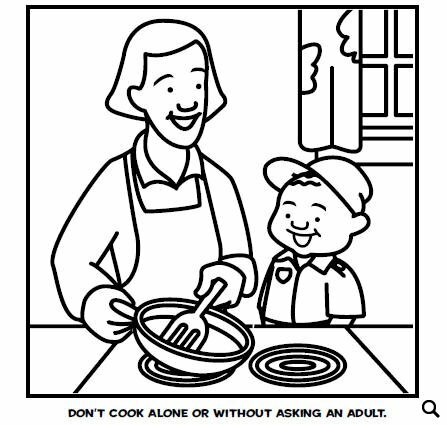 Each of these important fire safety guidelines is a full page size, with a big image above it, so while coloring the images your learners will remember the sentences. 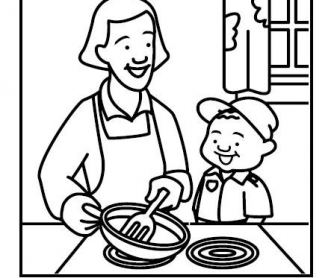 This coloring book is kindly distributed by USFA Kids (United States Fire Administration for Kids) free of charge and is also available on their website.